In our last post we explained the three top technical factors that can cause long lead times in optical manufacturing. It’s not all bad news, though. As an experienced partner in optical design and manufacturing, we know how to work with customers to minimize delays. In this article we explain two ways that Ross Optical can help reduce lead times… and two steps that you can take that will help us help you! We know our suppliers. At Ross Optical, we monitor the market to gauge raw material availability, and we regularly communicate with our suppliers to remain current on their scheduled workloads. This information enables us to estimate lead times before even discussing customer requirements. We can then choose the best vendor to match the constraints of your schedule and budget while maintaining your performance requirements. We know optical design. Our optical engineers evaluate customer designs to identify components that may push projects over time or over budget. If we do encounter an issue, we will work to fix it. Our engineers can redesign a component or an entire optical system to optimize performance while minimizing cost and lead time. We can also suggest alternative materials or components that will perform just as well. Contact us early in the design process. Ross Optical can be a valuable partner in optical design. If you contact us while your design is still in development, our engineers can identify any optical components that will extend lead time. This empowers you to make design changes early on. Often very small adjustments to the design lead to huge time and cost savings without sacrificing performance. Put your deadlines in your RFQ. Keeping up with growing industry demand for precision optics requires that Ross Optical maintain a meticulous production schedule. Price quotes and delivery dates are based on careful evaluation of our workload; when we send you a quote, we are reserving you a place in our schedule. As a small company, we do have more flexibility than others when it comes to accommodating customer requests. We can often shift high-priority projects forward in production, but this is most easily accomplished if we know the deadlines before we make the quote. Keep us informed of your deadlines, and we can work with you to make sure you receive your parts on time. For almost 30 years, Ross Optical has been helping customers navigate the complexities of optical fabrication. 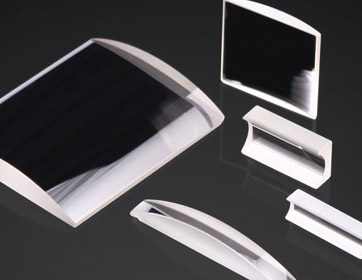 By working with us early in the design process, customers can leverage our unique material and engineering resources and expertise to achieve the best performance and price for their optical components, on a schedule that meets their needs. To learn what Ross Optical can do for you, contact us. Our technical sales team would be happy to discuss your project and advise you on ways that Ross Optical can support your needs. Want to know more about how you can avoid delays and meet timelines for your customers?